At Rainforest Flowers, we customize designs with you in mind! Our beautiful selection of high-quality flowers and eye-catching design styles are sure to bring rave reviews at your dream wedding or any festive occasion! Call us in advance to schedule a consultation. Call or visit us today… we look forward to meeting you! 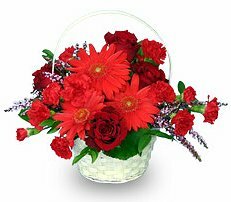 Thank you for visiting our website for flowers delivered fresh from a local The Woodlands, TX florist and easy online ordering available 24 hours a day.